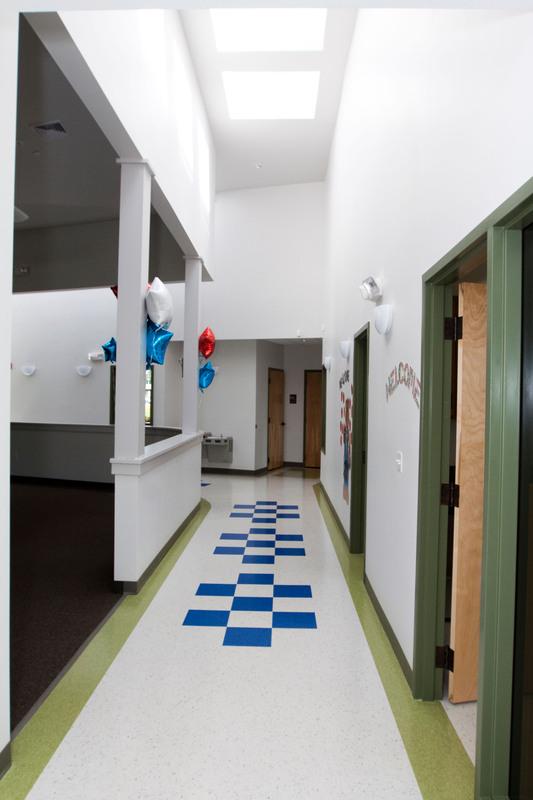 As a start-up business, the Keystone Kids Early Learning Center project required us to keep a keen eye on construction costs while meeting the needs of this facility designed for toddlers, preschoolers, school-aged children and infants. With a building plan that follows the street alignment, parking efficiency is improved and more space is available behind the center for playgrounds, all while meeting zoning requirements. 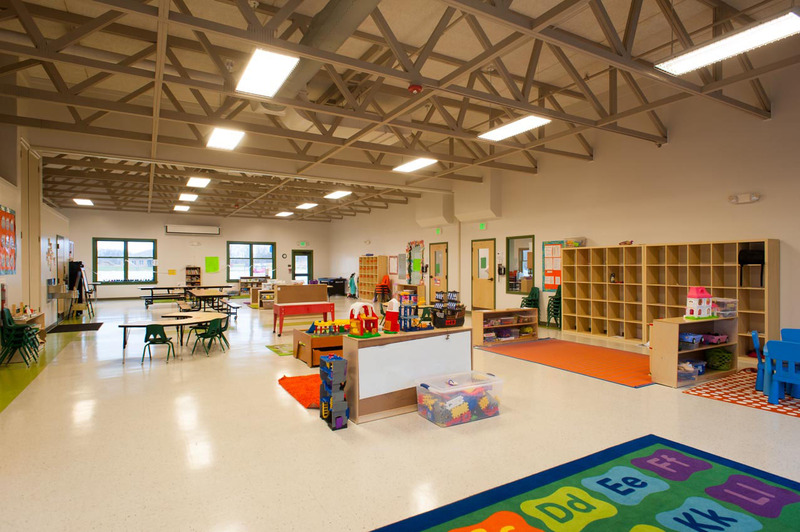 Inside, a dramatic ceiling structure and a spacious classroom encourages creative play and learning. 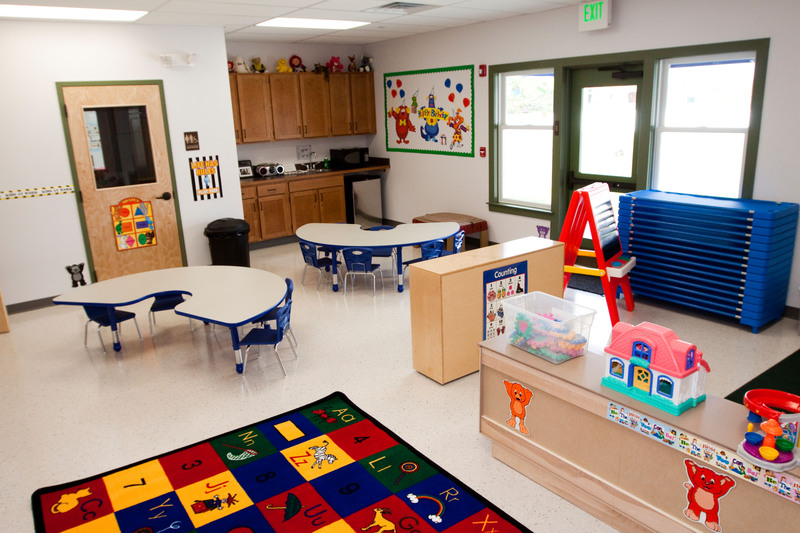 Infant rooms are adjacent to the administrative offices and a sound reduction wall contributes to a quiet environment. A tower design with a sloping reflective color roof at the main entrance increases visibility from the main road adjacent to the business park entrance. Roof gables and stone veneer add visual interest to the classroom wing façade. The administration wing to the right of the tower has clear views of the parking lot, outdoor playground and the central interior corridor, for maximum safety and security. 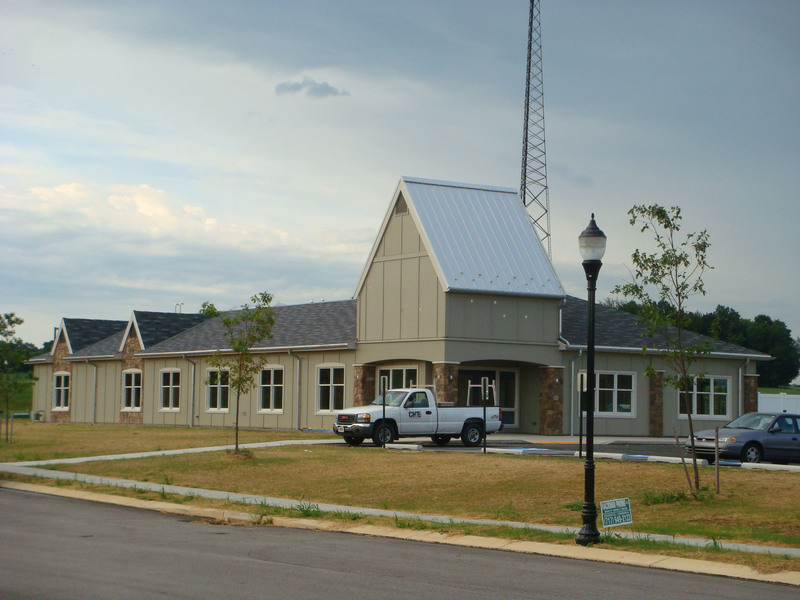 By using residential construction materials and design details, we were able to keep construction costs lower than comparable facilities. Learning and playing coexist easily with our design for the central corridor at the intersection of the two building wings of the learning center. A fun hopscotch tile pattern on the floor and natural wood doors bring warmth to the space, which is flooded with natural light, thanks to eight skylights. Children and staff alike enjoy easy access to the patio and playground from the playground side of this colorful classroom. 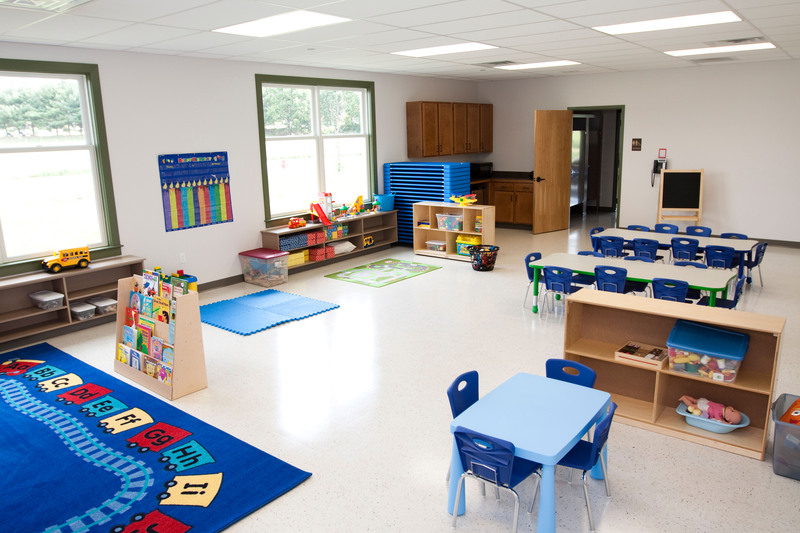 Featuring child-size fixtures in the adjacent restroom and affordable off-the-shelf wood storage cabinets, the classroom features low-maintenance finishes perfect for the everyday activity of this busy facility. On the street side of the center, large windows offer natural daylight and views to the outdoors while child-ready restrooms, handy sinks, and affordable wood storage cabinets fulfill the daily needs of this easy-care classroom.